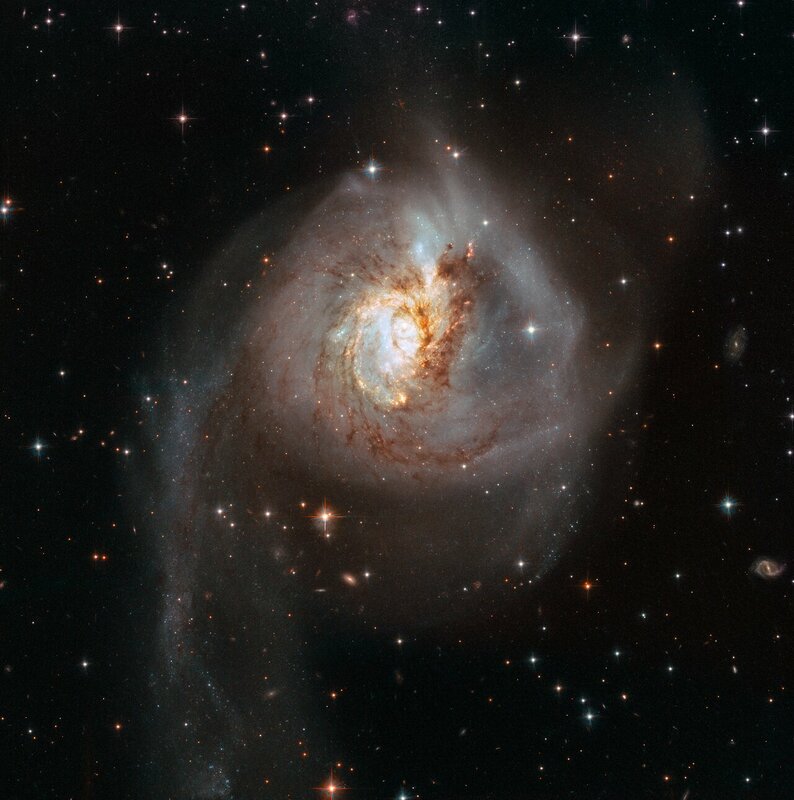 When two galaxies merge, individual stars rarely collide because they are separated by such enormous distances, but the gas and dust of the galaxies do interact — with spectacular results. The brightness blooming in the centre of NGC 3256 gives away its status as a powerful starburst galaxy, host to vast amounts of infant stars born into groups and clusters. These stars shine most brightly in the far infrared, making NGC 3256 exceedingly luminous in this wavelength domain. 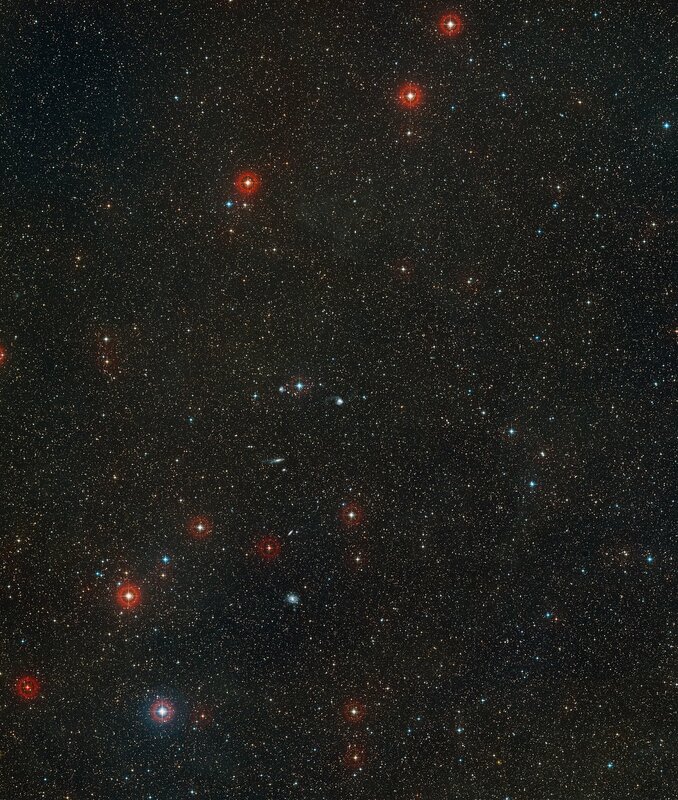 Because of this radiation, it is classified as a Luminous Infrared Galaxy. 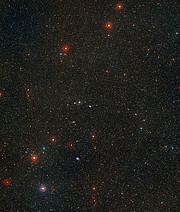 NGC 3256 has been the subject of much study due to its luminosity, its proximity, and its orientation: astronomers observe its face-on orientation, that shows the disc in all its splendour. NGC 3256 provides an ideal target to investigate starbursts that have been triggered by galaxy mergers. It holds particular promise to further our understanding of the properties of young star clusters in tidal tails.